Keeping up with Google is a full time job. Besides the major changes, such as the recent Penguin update, Google is constantly testing, refining and making tweaks to its search algorithm. Who in the health care sector in your community could you encourage to link to your website? We’ve seen an uptick in the number of clients (and prospective clients) who have been affected by these changes. Links coming to your website from “spammy” or low value websites. Links coming from generic article directory sites. Quality content that connects with an audience. This can be determined by how many pages are visited and how long visitors typically are on your website. Attempt to secure quality inbound links from local colleagues and vendors. Who in the health care sector in your community could you encourage to link to your website? Go slow. Too many links, appearing too quickly looks just as unnatural as links from websites in Romania or China. 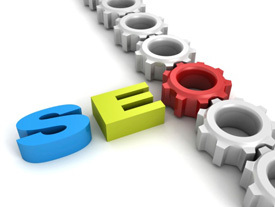 Do you have questions about some other aspect of SEO? Just ask!